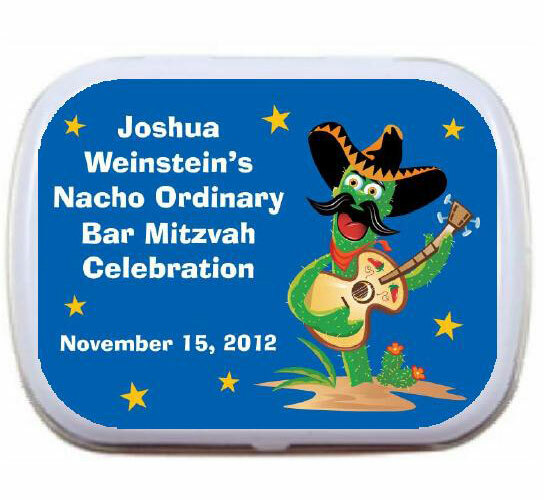 Personalized fiesta theme mint or candy tins. These custom party favors are great for a fiesta theme party. 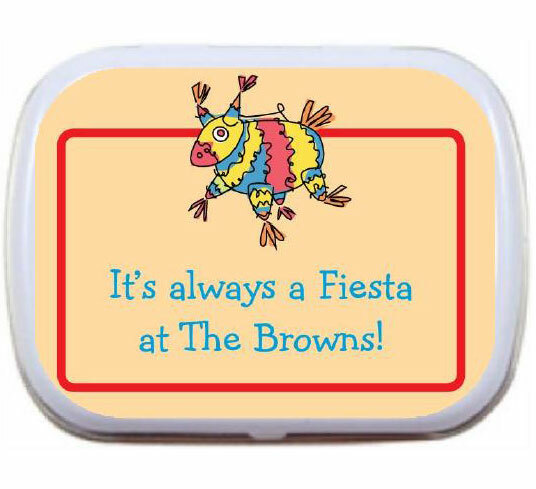 A fresh and fun Fiesta party favor! A fresh cactus theme party favor!